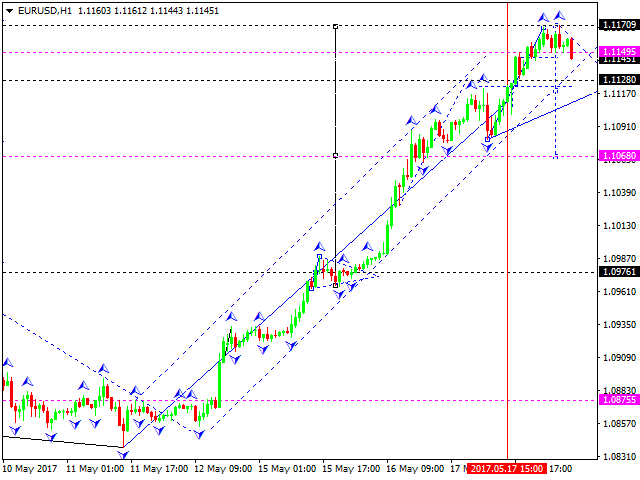 The EUR/USD has completed the rising wave structure. Today the market is preparing a descending impulse. We expect the pair to move down towards 1.1128. Then the price can climb higher and reach 1.1148. Then we'd expect the descending wave to continue and reach 1.1066. 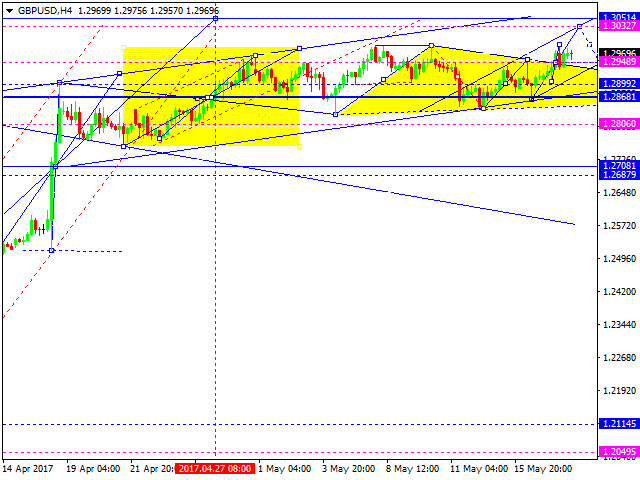 The GBP/USD pair is testing the 1.2948 level to rebound from it and go higher. We expect the price to rise towards 1.3030. Then the market can lower to meet the 1.2948 mark. Afterwards we'd consider an upside movement towards 1.3050. Having reached that point, the descending wave can be deemed over. Then the pair can start a correction to meet 1.2700 level. 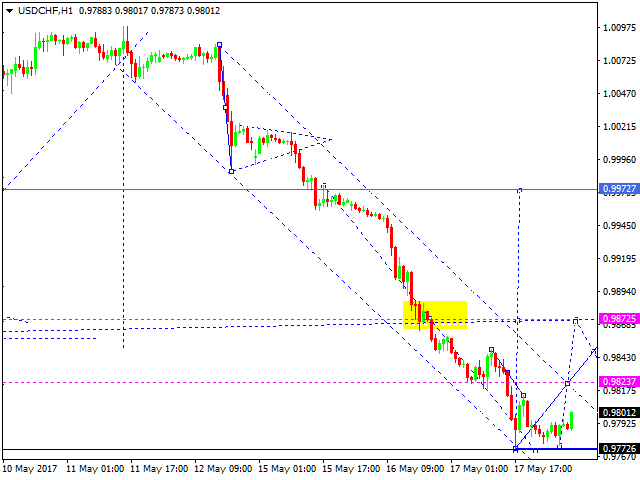 The USD/CHF currency pair has formed its descending wave completely. For today we'd expect an upside impulse to form and reach 0.9872. Then the pair can move down towards 0.9823. Afterwards the price can climb higher and meet 0.9972 mark. 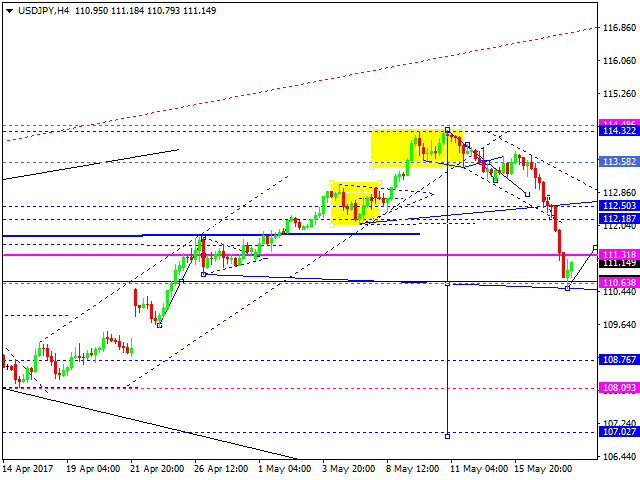 The USD/JPY currency pair has worked out its descending wave's double extension. For today we are expecting an upside movement towards 111.477. Then the pair can lower to meet the 110.99 mark. Afterwards the price can rise and reach 112.50 level. 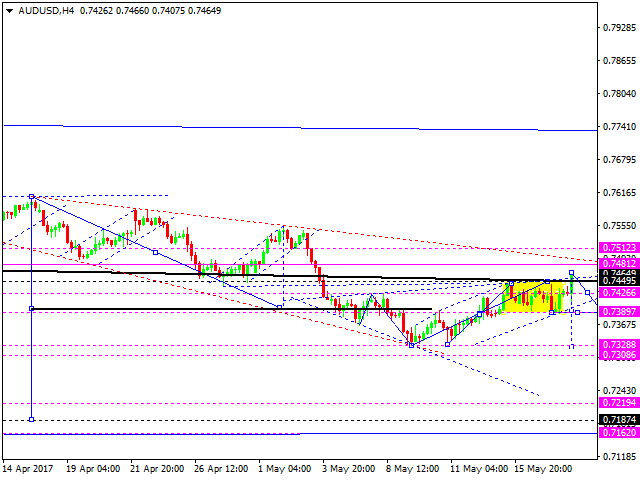 The AUD/USD currency pair has completed its 5th structure as a part of the correction move. For today we consider this correction to be over. The next step, in our opinion, is a downside movement towards 0.7328. We expect the 1st descending structure to move to 0.7389 and stop there. 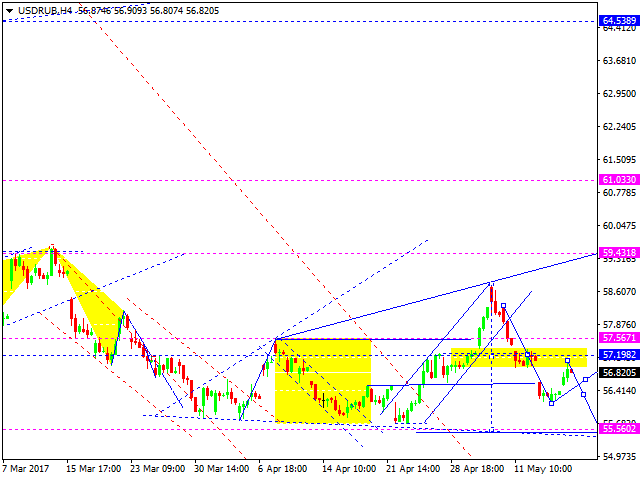 As for the USD/RUB pair we'd consider a possible descending movement towards 55.50. Then the pair can go higher to reach the 57.20 mark. Then the price can lower and meet 54.60 level. 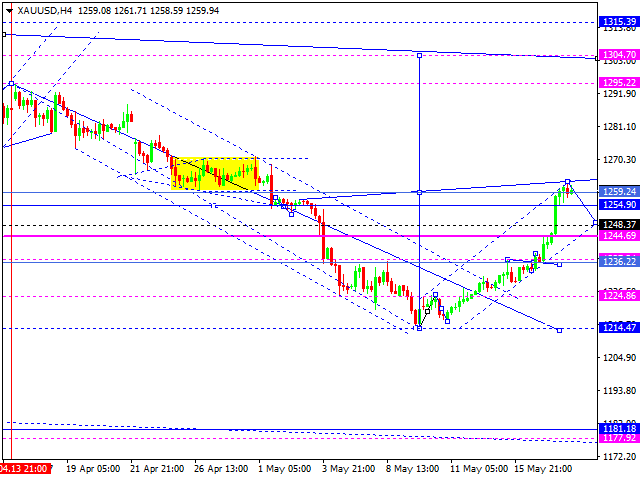 Gold has reached the target of its ascending wave. For today, we'd expect a descending structure to develop towards 1236. Then a rise is possible towards 1259. After that a new consolidation range can start. If the price breaks it from bottom upwards, we'll consider the level 1300 as the next point for the price. If the market breaks the range downwards, this can clear the way to move down towards 1214. Oil is trying to break the current highs at the moment. We'd consider continuation of the 3rd wave to reach 52.90. Then we'd expect a correction towards 50.78 and a test of this level from top downward. Then a rise can occur which can lift the pair to 54.75. 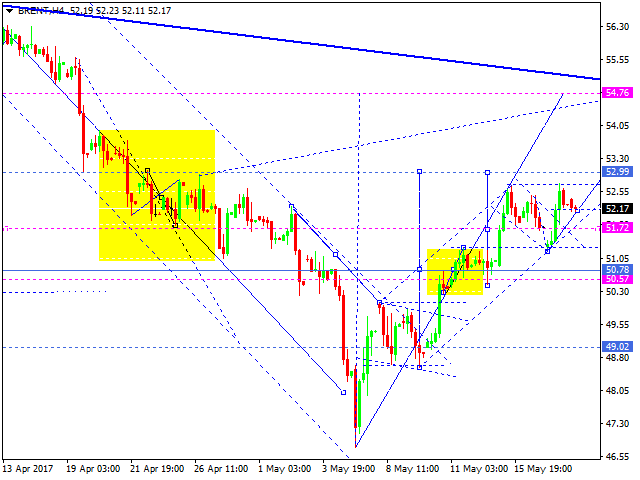 The structure as a whole can be seen as 1st ascending wave towards 59.90.